In the year 1936, the German Standards committee Deutsches Institut Normung (DIN) formally projected DIN 1451 as the paradigm type of calligraphy that can be widely utilized in the field of road traffic. The basic purpose of designing this standard was to set down an approach of lettering which is eternal and decipherable. Regrettably, these early age letters lacked elegance. They were also not designed properly for typographic applications. 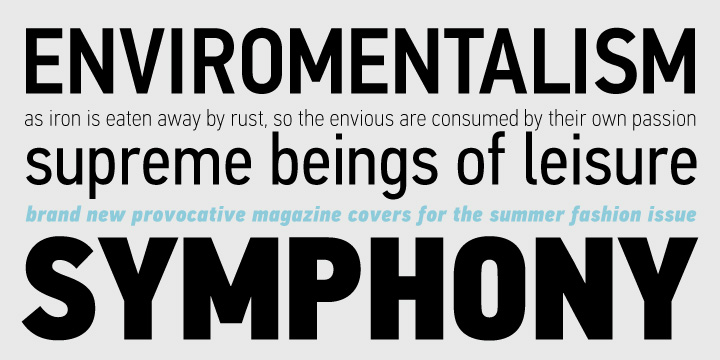 The DIN Text Pro series comprises of lowercase ascenders that are elevated as compared to the capitals, varying letter proportions and italics that are true-italics. This is a set of highly constructive daily symbols for varied marketing purposes such as packaging, branding and advertising.